Caring for a loved one at the end of life is a task that few understand until it happens to them. All the medical preparations and advance funeral planning in the world cannot prepare you to deal with the emotional, mental, and physical toll of helping a loved one die. Do not get us wrong—this is one of the most important and fulfilling tasks you will ever take on. It is also one of the most difficult. That’s why it is important that you don’t do this alone. There are countless resources and organizations available to help both you and your loved one move through the end-of-life experience, but you have to reach out to them and ask for help. Once you have decided to stop life extending efforts and instead focus on the quality of life your loved one has left, here are a few places to turn for support. Hospice: Hospice is the most well known type of end-of-life support. It is usually provided by private companies that specialize in both physically caring for your loved one and helping you deal with the emotional aspects of the situation. Although offered privately, most Medicare patients have a hospice benefit that will cover the costs. This means that you can find a facility in line with your religious and spiritual beliefs and not worry about the overhead. Legal Providers: Turning to a lawyer during this emotionally turbulent time might not seem appropriate, but it is actually important. You’ll want to ask about issues such as a living will, advance directives, health care power of attorney, and at-home Do Not Resuscitate (DNR) options. This will prevent well-meaning family members from overriding the decision not to medically intervene in the end-of-life treatment. Church and Religious Organizations: If you and your family members belong to a particular church or religious affiliation, reach out and ask what types of services may be offered for end-of-life care. Although they are unlikely to have a program that provides hands-on medical assistance, they may have prayer circles, community outreach programs, offers to come and sit with your loved one so you can have time to yourself, or just moral support and spiritual guidance when you need it. 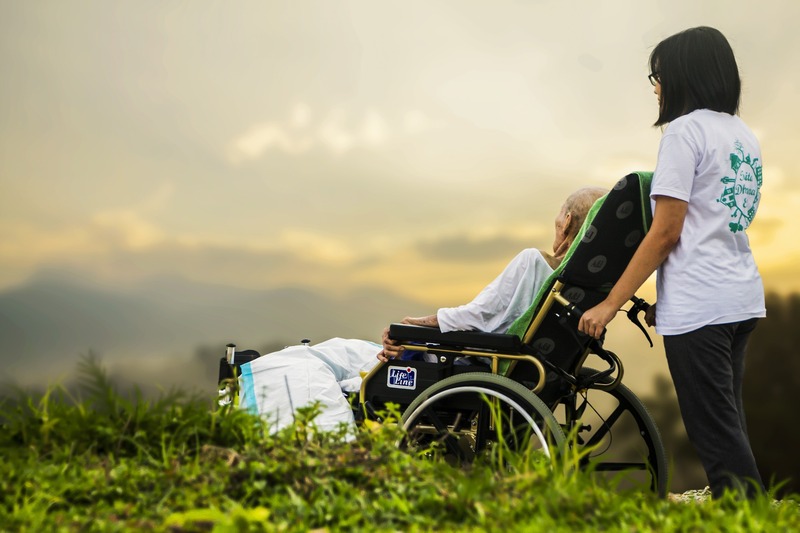 Nursing Homes/Long Term Care Facilities: Although the decision to enter a nursing home typically takes place before a terminal diagnosis is made, these facilities excel at helping families cope with the end of life. Even if you do not move your loved one to a nursing home, they may have referrals to private care providers and resources in your area. Online Forums/Support Groups: If you are the care provider for your loved one, it is important that you reach out to others in similar situations. If it is difficult for you to get out and meet up with a support group, then there are online forums and chatrooms where you can connect with others. This can help you access local resources and find answers to questions you might have—as well as simply have a safe place to express your feelings. Funeral Homes: Do not forget to add funeral homes to your list of support resources. Although funeral homes deal with what happens after your loved one passes, they are usually more than happy to help you discuss options, pre-pay for necessary services, and connect you with care providers in your area.